My GSD club president kept talking about the "Parent Club." Instead of asking "What?" and sounding like an idiot, I did a little research. I discovered that the AKC is actually made up of hundreds of individual breed or "parent" clubs. Each breed only has one parent club. These parent clubs are the guardians of their respective breeds and dictate the breed standards. My parent club would be the German Shepherd Dog Club of America and my club, the German Shepherd Dog Club of North Florida, is considered a regional club. Being a member of the parent club has various benefits and the membership fees help pay for GSD-oriented research, education and legislation. So I thought I'd join. The first year's dues are reasonable ($35) but the cost doubles after that (ugh). I filled out the form online, gave them my Visa number and thought that was that. 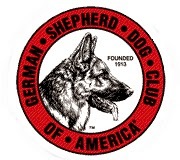 We are pleased to acknowledge receipt of your German Shepherd Dog Club of America membership application. At this time, your application is in process. You will start receiving a copy of the award winning German Shepherd Dog Review magazine beginning with the August 2013 issue. Your name will be published in the September 2013 issue of the German Shepherd Dog Review to allow current members to make comments on your submission. Provided no written objections are filed, you will be granted membership and your membership card will be mailed. While your application is in process, I recommend that you visit the GSDCA website . . . . Your membership number is XXXXX, you can use your membership number to access the Members Only area of the GSD website. The REAL "9 Reasons Not to Get a Pet"